Outsourced CMO is growing up fast! Started as a one-man army and on a simple concept of shared resources, we are now gaining popularity not only amongst SMEs but some well-known and well-established businesses and are close to 10 people strong team. The latest addition to the list is the association of OCMO with Vidal Healthcare, one of India’s top TPA companies offering services to health insurance policy holders. The firm is now expanding its wings in app-only holistic healthcare service provider category. For the launch of this vital app, Vidal’s management wanted nothing but the best in industry. That’s where Outsourced CMO and his team of experienced and strong marketeers were approached to sense the waters and create unique go-to market strategies for the new app launch. Another strong reason that convinced Vidal management that OCMO is the right choice was, within the last 4 years of its existence, Outsourced CMO has been a strong part of more than 11 success stories and currently the team is working on ensuring success for a couple of App-only businesses. Even if a firm has an in-house marketing team, app marketing is a whole new ball game that requires sensing the market right and applying some innovative marketing approach. Who better than the experienced team of Outsourced CMO could do the job. OCMO’s team of senior experts with a hold on crisp and fast marketing provided the strategies for Vidal Healthcare App’s perfect launch. The campaigns are being designed keeping in mind the target audience. The strategic action plan pitched in by our team specifically focuses on the steps to move in a new direction considering the market competition, pricing and distribution. It is always a challenging job to define the right customer base or the intended target users for a company that is jumping onto a new line of business but with OCMO as their marketing partners it was a smooth first step. Being a leader in judging the markets and providing perfect and rewarding marketing strategies along with good knowledge of marketing app-based businesses, Outsourced CMO was a spot-on choice. All the campaigns that are being designed are not only creative and engaging for the customers but also focus on maximizing the ROI from the giving budget. 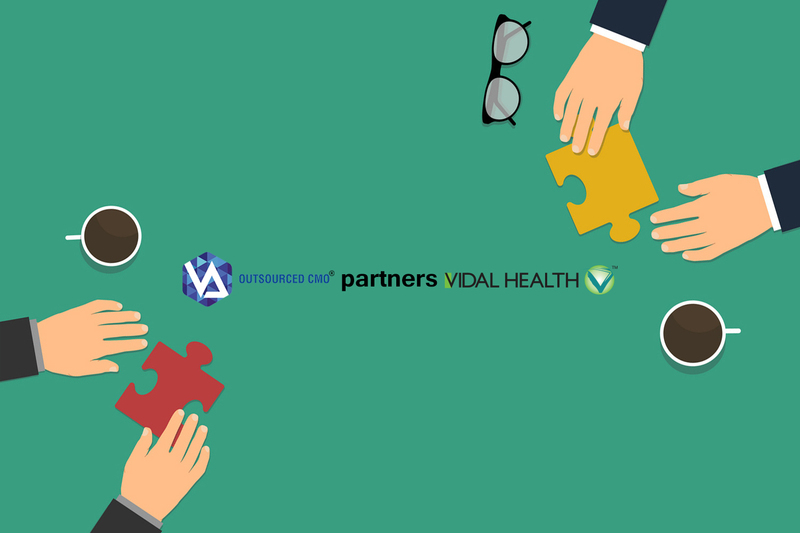 We are sure that partnering with the experienced marketeers at Outsourced CMO will go a long way towards understanding and developing a stable customer base for this healthcare app in the coming future!